Brian on his knees proposing with the “good guys” from SICW ,Brent Meyers, WWE Hall of Fame wrestler Cowboy Bob Orton, and “Old School” Chaz Wesson showing their approval with a thumbs up for the proposal as Dubray Tallman accepts the ring while the “bad guys” “The Tokyo Monster” Kahagas, Wyldefyre, Curtis Wylde and SICW Champion Flash Flanagan shows their disapproval. Special edit to Derek Sharpe who unfortunately had to take out Ron Powers on the good side because the room was not big enough…. Missouri Wrestling Revival has had the pleasure to support pro wrestling in the Midwest for the past 8 years by covering the biggest events, awesome matches and moments in hundreds of events. During that time we have provided a home for fans to come to so that they are aware of where to be and why, with over 4,000 posts and thousands upon thousands of photos of the young wrestlers in action looking to live their dream as a wrestling superstar. 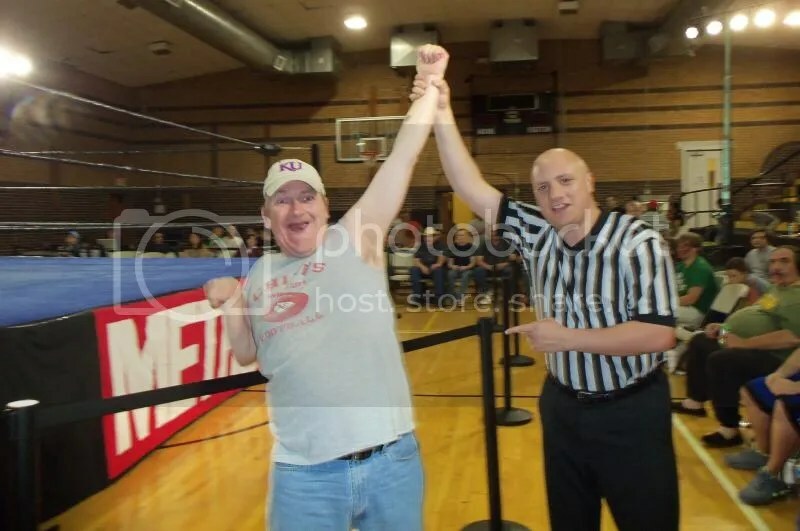 While MWR has been blessed to have the support of promoters and wrestlers around the country, and have our very own Yearbooks on Amazon.com and MWR T-shirts sold around the world on ProwrestlingTees, our biggest achievement most definitely has been the positive relationship with the wrestling community and the fans around the country. They say that behind every good man is a good woman. For myself that has been Dubray Tallman. I had met her over 11 years ago and during that time I wish that I could say that it has been easy, but alas we have had highs and lows that have been self-inflicted at times. Yet, there is no doubt that there has been no women that I have loved as much as I have loved her. As we were dating early on, I took her to see Harley Race’s World League Wrestling and Kansas’s Central States Wrestling. At the events we would build a foundation of friends in and out of the ring that we still share to this day. Our life would change forever on a day that my friend Josh Ray, called to ask me if I wanted to contribute to a website called Missouri Wrestling Revival. Early on it was Josh, myself and a talented young writer still in High School from St. Louis named Kari Williams who hoped to present a professional positive view of the local wrestling scene in the Midwest. Years would pass and both Josh and Kari would go on to bigger and better things in life, but Dubray and I would travel to over 40 events a year in Missouri, Kansas, Illinois and Iowa. The amount of miles, money and time to do this site has taken up a huge amount of the past decade for the two of us. Dubray has never been a wrestling fan, but has always been there to support my love for pro wrestling. So when I decided that I should ask my true love to marry me, I wanted to do something special that she would remember for the rest of her life like the best anniversary gifts. One of my most vivid memories growing up was Macho Man Randy Savage proposing marrying Miss Elizabeth, and I wanted to provide Dubray a moment where she was the main attraction for our biggest moment to date. The decision was where to have the big moment. First and foremost, Kansas City has always been like my first home as that is where we went for over a year to start to check out the stars of CSW. 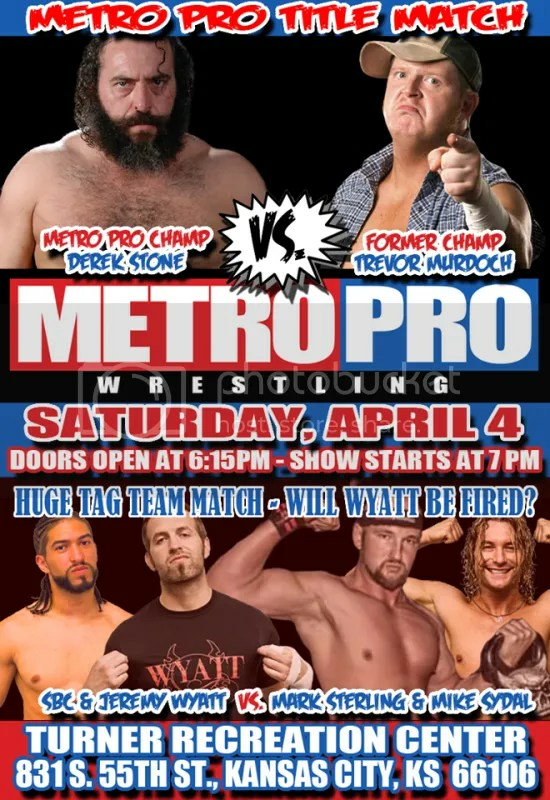 Today, wrestling is even bigger and better there as Metro Pro Wrestling is the place to be in Kansas City every other month. The Turner Rec Center is always packed with close to 400-to 500 fans that we are very close to. 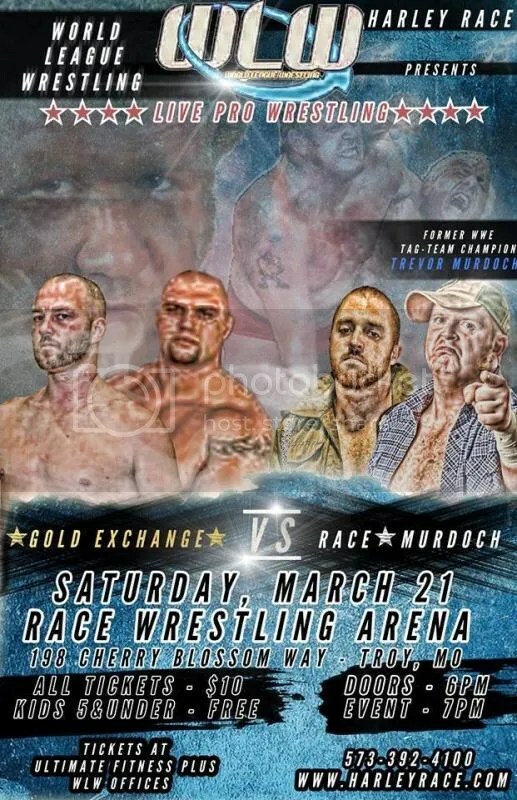 The promotionis also the home to my close friend and the Artist of Champions Rob Schamberger while having a great mixture of talent that we have supported in several promotions. So Kansas City would have been a great choice. During the past couple of years our finances have been depleting as disappointments with jobs and our four kids going to college that our visits to Iowa has dwindled considerable. Still every time that we have made our way to the beautiful state of Iowa, it has been a true pleasure as the wrestling has been fun and the people are so awesome. 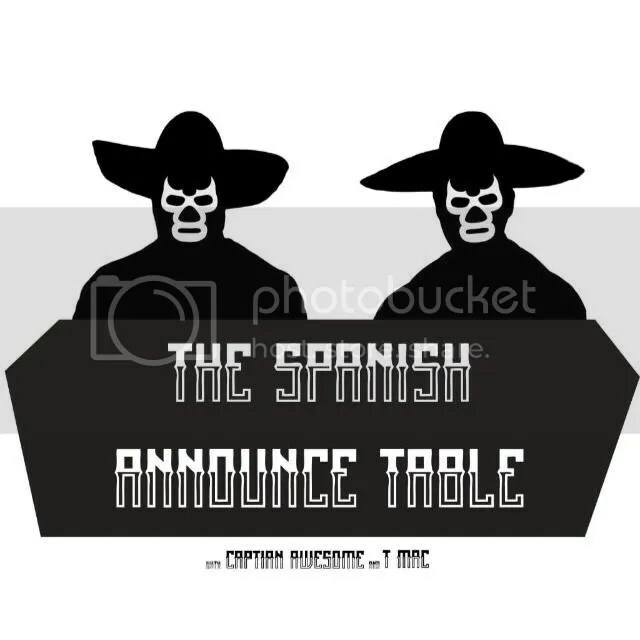 We have seen that during the 2013 3XW Iowa Latino festival and this years Jeff Thompson Memorial event. 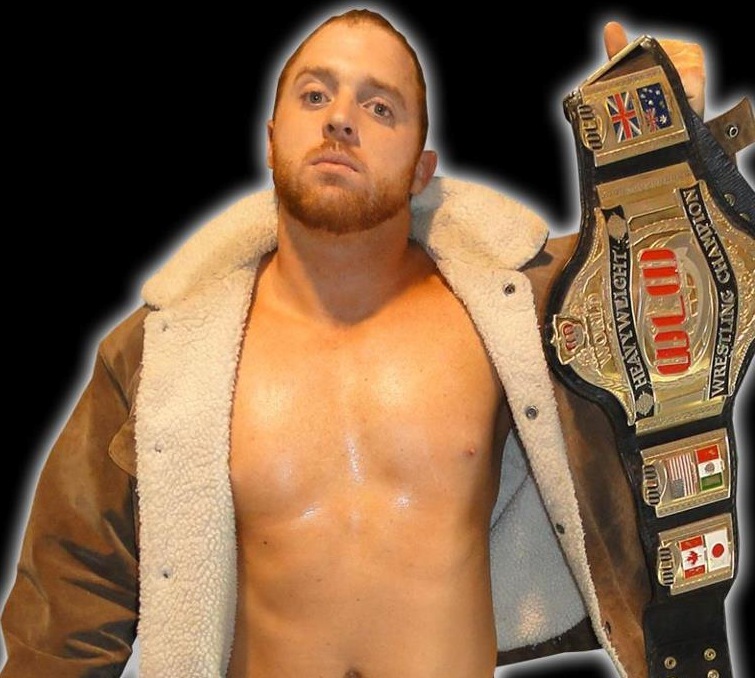 I have long considered Iowa fan favorite Mark McDowell to be one of my best friends and it would be a pleasure to have done it at either PWP or 3XW. Yet, St. Louis was the one place that I felt that it would be the perfect place to propose to Dubray due to the fact that it was the home of the majority of the promotions that we cover. It would allow a chance for all of our friends and fans of SICW, PWCS, WLW, Dynamo Pro Wrestling, New Breed Wrestling, MMWA,PWE, St. Louis Anarchy, Proving Ground Pro and High Risk Wrestling to make the trip to see put my heart on the line. 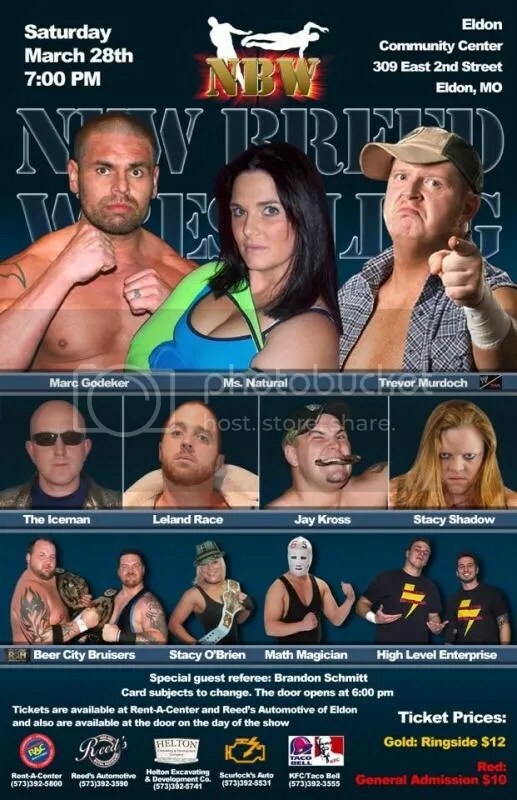 I decided that the SICW’s home of East Carondelet, Illinois would be the perfect place to do so as the the Community Center is always packed with fans that have become friends for years, and is the home of St. Louis’s only TV tapping SICW Wrestling Explosion. Add on the fact that promoter Herb Simmons and his wife Mickey have been very close friends and the ring announcer/commentator Dr. Drew was a friend of ours long before he earned a career in the sport, I had faith that they would do what they could to make it go as smooth as possible. On the way home from the historic WLW Ric Flair/WWE/NOAH/NEW JAPAN camp event in Troy, Missouri in August I made the call to ask Herb if it was possible that I would be allowed to propose to Dubray in the ring in the near future. My idea was to have Herb announce that he was going to present us with an “award” to thank us for our support of pro wrestling in the Midwest. Beings that she was included in the announcement from Herb she would be required to be in attendance that night. A quick note, Dr. Drew would cement that thought in her head in a positive light when he announced during their TV show that the “Queen of MWR” Dubray and I would be there to accept the award. Herb asked me if I would like to do it at the October event as it was going to be a huge night with the St. Louis Wrestling Hall of Fame. I was concerned that we would be trying to take away the focus of the Hall of Fame induction, to which Herb stated that he believed that it would only add to the occasion. So with his blessing and help the day was set for the big announcement. I have never been good on the mic, so it has always been a good that I have been working behind the scenes through the website and photos. When it was time to put my heart on the line, Herb was a 100 percent right, the time could not have been any better. Thanks to the huge night of honoring Bill Apter and Eddie Smith into the Hall of Fame, there was many friends in the building that may not have been there otherwise as friends came from Minnesota , Iowa and beyond. During the week I had watched some proposals online to help me find the right words and actions to make her moment as special as possible. With time on my hands I also watched some proposal fails that were funny, but a possibility for us to be included if I was to total mess It up. Before I knew it, we were in the ring accepting our award, and as we had planned Herb and Drew encouraged Dubray to show off our new plaque to the fans as I prepared to get on my knees to ask the biggest question of our life. The moment was a blur, but I will forever remember the huge pop from the crowd as she said yes. Throughout the night, friends and people I did not know were all smiles as they congratulated us on the big moment. Looking back I know in my heart that it was a huge success as among those that were happy for us, there were many young kids around the age of 7-15 that stopped me to congratulate me on doing it in the ring, they thought it was so cool. Kids are as honest as they come and anytime you can impress them (and not bore them lol) on a night filled with hard hitting wrestling action then you know it was a huge success. Thank you to Promoter Herb Simmons and SICW for allowing us to have our moment in the ring and for all the boys and girls in the locker room who were more than happy to take a proposal photo for fun. As always thank you to all of the fans and our friends for their sincere support and we look forward to seeing you in 2015. 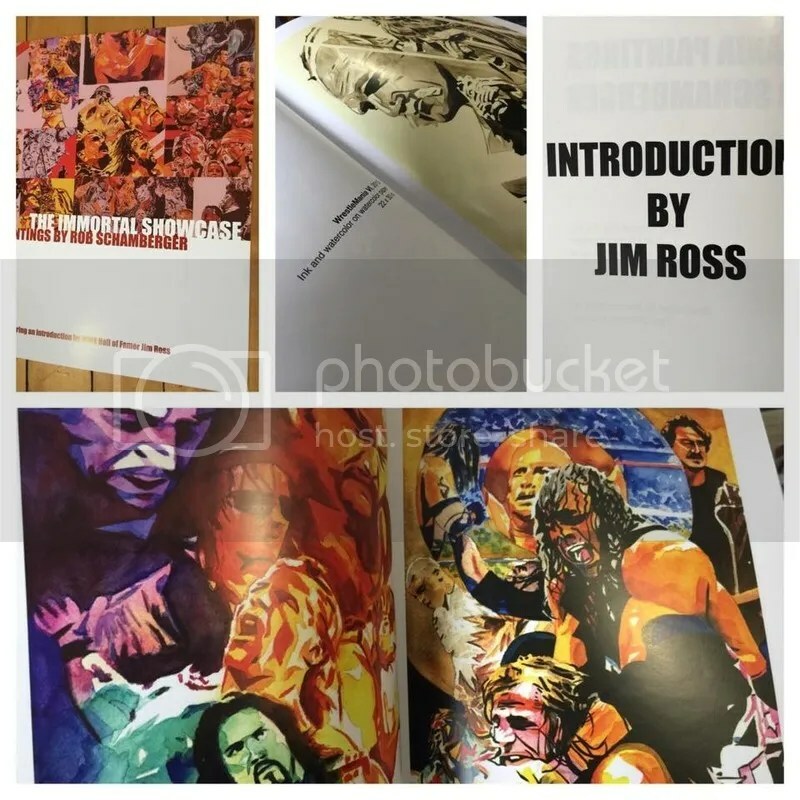 A must-have for any WWE collection, this new book contains over 30 paintings by prolific WWE artist, Rob Schamberger. Rob Schamberger has been a professional artist since 1997, working in illustration, comic books, and fine art. His focus in recent years on sports entertainment has brought his work to a worldwide stage through his association with WWE. Schamberger’s paintings are now collected by people around the world thanks to their availability through WWE Shop and WWE Auction, and is on display at WWE’s global headquarters. He paints live at various events for the company and produces weekly videos showing how he creates his art. His portraits were prominently featured in the WWE True Giants DVD. Rob had the distinct pleasure of painting the duster worn by Ultimate Warrior in his final appearance and worked closely with Warrior in its design. This book is dedicated to the memory of Ultimate Warrior. Missouri Wrestling Revival is excited to work with another great artist to honor the wrestlers of the past, today and future. For the very first time here on the MWR site we have artwork by Way Outta Line Caricatures from Jaime Baker. It is hard pressed to find a true wrestling fan that does not love Bruiser Brody and Bakers’ Brody promises to be a favorite for years to come. It has been no secret that Brody is a personal favorite of ours, as well as many around the world. In the past we have had the privilege of having the blessings of his wife, Barbara Goodish to produce our very own MWR Trading card of Brody. That card had it all. It featured the bio of Brody, thanks to his good friend and HOF himself Larry Matysik. Matysik was the Co-author of Brodys’ book, Brody, along with Goodish, so it was perfect to have the bio come from a man who were truly friends with one of the wrestlings true rebels. We were thrilled to also have Brody artwork front and back on the card from our very good friend Rob Schamberger. We continued to honor him in the 2013 MWR Yearbook, as Ron McCaffery III, done an awesome full page spread of Brody. 2015 continues to prove that though the years pass, wrestling fans will never forget the one and only Bruiser Brody. This April at the Cauliflower Alley Club 50TH Year Anniversary Brody’s wife Barbara will be accepting the CAC Posthumous award in Las Vegas. For fans in the MWR Coverage area SICW Promoter Herb Simmons is working hard for a must attend event Saturday May 16th “The Bruiser Brody Memorial” which will be held in conjunction with the 56 Anniversary of the Wrestling at the Chase. Barbara will return to the St. Louis Area along with Brody’s former partner Stan Hansen. 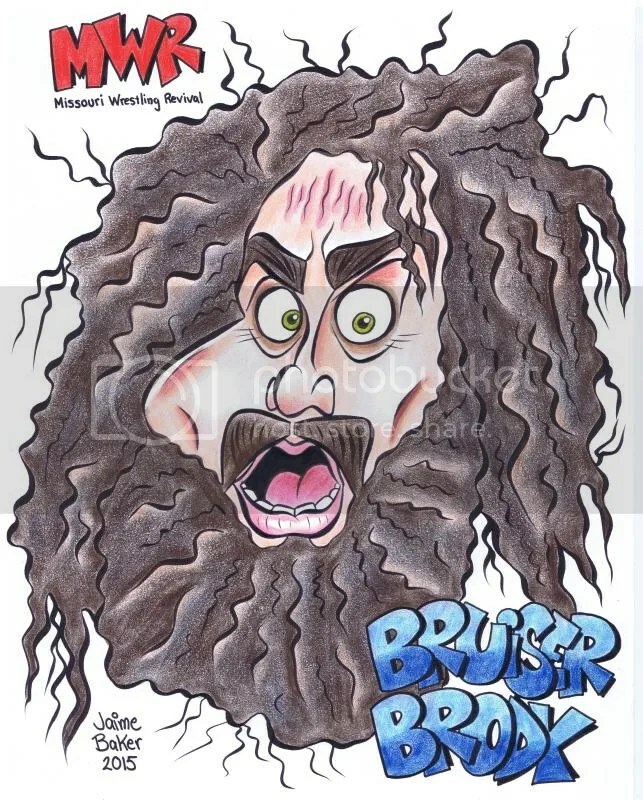 With all that great news in 2015, I was excited to see a special caricature of Bruiser Brody thanks to the talented Jamie Baker. 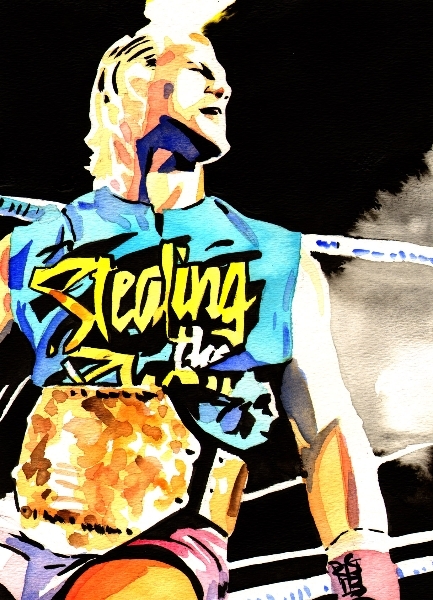 Rob Schamberger leaves an impression on the art canvas with this rendition of Dean Ambrose. This week I take you through how I did my Champions Collection portrait of Sting! Plus! New paintings of The Ultimate Warrior, Kofi Kingston, Damien Sandow, Kane, Rusev, and Lana! Dude, it’s art! Of wrestlers!